What’s more emblematic of the short attention spanned, the millennial generation, than the Snapchat app? It not only allows users to view their friends’ photos and videos rapidly, which is exactly how the kids like it, but even better, there’s no paper trail. The images literally disappear within seconds of being opened. What started as a novelty app, almost like an anti-Instagram, has since become one of the more respectable and necessary forces in the advertising and digital marketing world. Especially when it comes to connecting small businesses with website builders to expand their online reach. As evidenced by Snapchat’s recent $16 billion valuations, it’s obvious that young people are loving the temporariness of its media. In fact, research has shown that millennials are MOST responsive to shorter content, i.e. Snaps or Vines. Start-up underwear company MeUndies has been utilizing Snapchat for the past two years and has recorded a huge boost in conversion rates (10-12%). How did they pull this off? In addition to showing users photos and videos of their products, the company started including unique URLs within its Snaps to guide people to their product pages. Baby shoe company, Freshly Picked, found that its target audience (new moms) was eating up their Instagram content. So when Snapchat began to emerge, CEO Susan Petersen knew it was important to get in the door early. The risk was minimal, and the upside was massive. 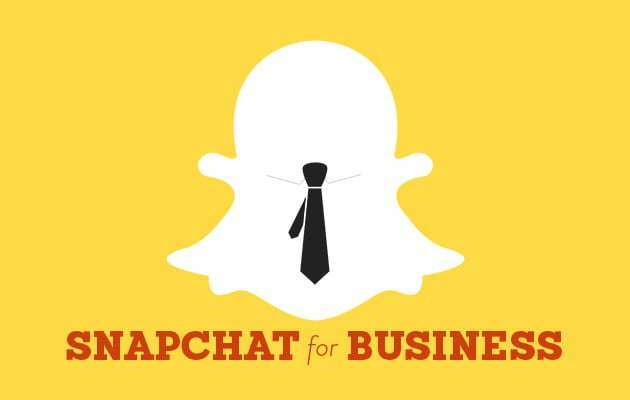 Companies have also harnessed the power of personality in their Snaps. In the MeUndies example, two of its employees (Bob Wolfley and Greg Fass) got together to record funny videos of themselves lounging around odd places wearing the marketed clothing. Meanwhile, entrepreneurs like Katy Lynch, founder of SocialKaty (now Manifest Digital), and Mike McGee, founder of the Starter League, have used the app to build quite an audience of users seeking their personal insights and advice. Lynch provides digital marketing info to the masses, helping brands to better connect with their audiences, while McGee inspires millions to learn computer coding languages and embark on development careers (founded CodeAcademy.com). As soon as a new platform takes off, prognosticators are already predicting it’s soon-to-be death. But it would appear that Snapchat is pretty secure given its 100+ million daily users including over half of all teenagers and millennials. For startups looking to build a base, there’s no reason not to try an app like Snapchat given its ease of use and quick posting capability. Like in the now legendary example of MeUndies, it’s apparent that cleverly crafted ad campaigns and URL trackings utilized within Snapchat can drive higher conversion rates and ROIs. But remember, as, with any social media campaign, a brand cannot simply shove its product down a user’s throat in a clumsy sales pitch. It must instead be able to use the medium to provide “entertainment” to its audience. In the world of Snapchat, these productions just happen to be several minutes, and seconds, shorter than on any other medium.